​Have some distance to travel? Need to move a vehicle across WA? Perhaps you have scored yourself a collector’s item in another state, or you are moving houses and don’t have a way of getting your vehicle there? 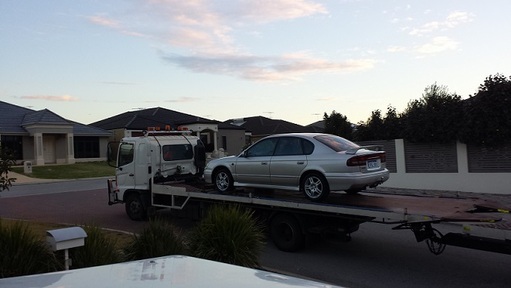 Perth Towing Service are Perth’s best long distance towers with professionalism and a desire to serve; you do not need to look any further. Safe and qualified experienced hands. Thanks to our experience in long distance towing, we are guaranteed to get you and your vehicles to where they need to go, when you need them there. Making sure that your vehicles are properly cared for to the highest standard as if they were our own, feel confident leaving them in our hands. Taking all of the work off your hands, with fast, reliable and efficient services, no matter the size, we have the tow trucks required to make the long haul happen effortlessly. Perth Towing Service is dedicated to providing exceptional customer service, ensuring that your vehicle arrives in perfect condition on time. We have completed extensive tows from short distances to extremely long distances and are committed to keeping our range open for you. Simply ask if we are capable to meet your needs and we will let you know. Plus be rest assured that all our drivers are all professionally trained, fully licensed and insured. All you need to do is contact us, and we can work out your transportation needs and schedule time and place to make your tow happen. Call us now on 08 6166 6156.